In one of my CSAs this week, we received kale. I polled a few people and decided to make pesto. Summary: As usual, the measurements are approximate. Feel free to adjust to your taste. Prep and measure out all of the above ingredients. Add kale, scapes and green onion to food processor. Process until a paste starts to form. Process until smooth and check for desired consistency. Product will thicken a little when the cheese is added. If product is not thin enough, add more oil or some water. If you are freezing the pesto for later use, wait until you thaw before adding the cheese. 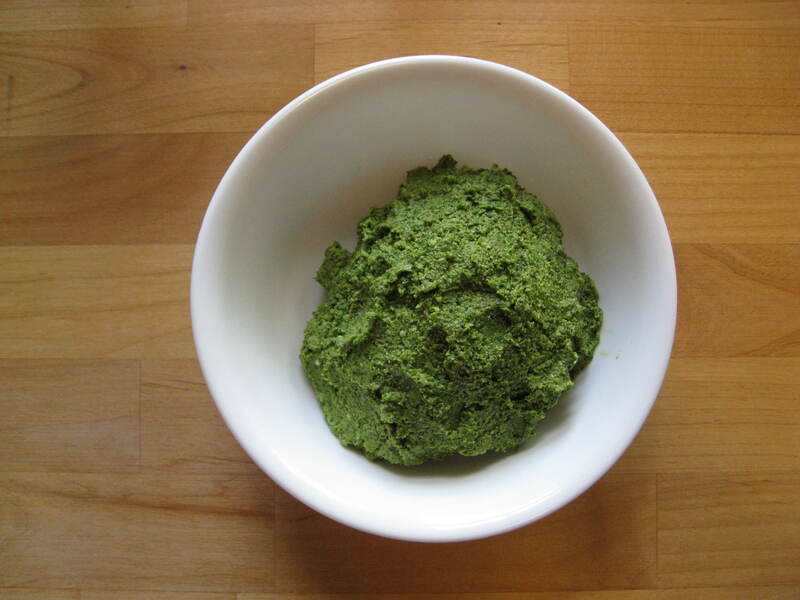 Pesto can be made with most greens and nuts. The variations are limitless. Serve over pasta or as a spread with crackers. I didn’t do a food log yesterday. I ate well, but we spent the day at the hospital and sleep was more important last night. Here’s a short and sweet log for today.